I am a tried and true T-shirt and jeans kind of a girl, so this outfit is so comfortable for me to wear and it's still a little on the dressy side. I just love the purple shoes, especially with this purple top-and the sock bun is so easy and classic. Happy Tuesday! I love taking something as simple and sometimes boring as plain black and white and adding a great pop of color to it. Being able to add a bold color to this otherwise classic outfit gives it a fresh, springtime feel. 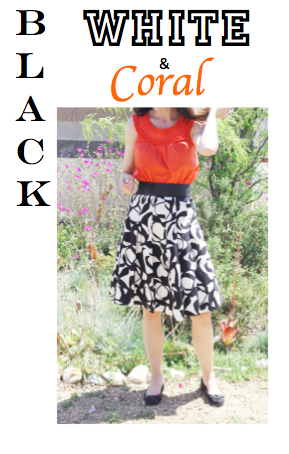 This skirt is so versatile and can be worn all year depending on the top that is worn with it, on more adventurous days, I wear more bright bold colors; on more conservative days I stick with more muted tones. Either way, this is a skirt that will last for years because of its great shape, versatility, and simple pattern. Dresses are probably one of my favorite things to wear because all you have to do is throw one item of clothing over your head, add a cute pair of shoes, a few accessories, and a nice handbag and viola, you have a perfect, effortless outfit in less than five minutes! Being a working mom, dresses are definitely my go-to wardrobe staple because of the effortlessness, and the fact that you can take one dress and tone it up or down depending on the situation, setting, mood, or day. 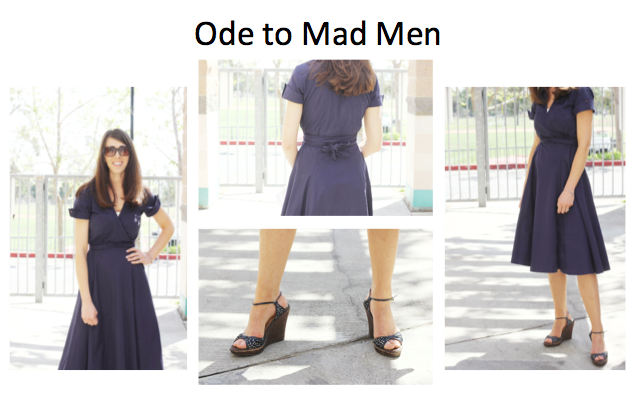 I bought this dress years ago at Nordstrom Rack, and it still holds up quite well. Its clean, classic lines make it a dress that will never go out of style. I started teaching high school six years ago. I knew that I needed a professional looking wardrobe that would be of-the-moment, but never be so trendy that I would need to replace my staple pieces very often, but rather, just add to to the staples to keep them current. The result? I have been able to maintain much of the same wardrobe that I invested in when I first started teaching, and I just add a few pieces here and there to it to keep it current. I really like this outfit because the piping on the shoes brings out the subtle stitching in the slacks, and the top pops against all of the brown hues that I am wearing. I am not sure that I would have been so confident to wear so much brown at one time, but with the color blocking in the shoes, it allowed me to play up so many different browns, including the cheetah print headband that I am wearing. Happy Monday, have a great rest of your week! This is such a simple and wonderful outfit because it can be easily worn for a casual day at work or out to coffee with friends, or a play date at the park. This outfit consists of the basics; a flowy top and skinny jeans, and was paired with a single button suit jacket to add structure. I added simple jewelry and leopard printed ballet flats to add a little visual interest and a touch of flare to an otherwise simplistic outfit. The best part about this outfit is its versatility, to dress this outfit up a little more the only thing that needs to be changed is the shoes and jewelry. The sun is finally shining and it is beginning to feel like spring! What better color to wear than a bright sunshiny yellow?! 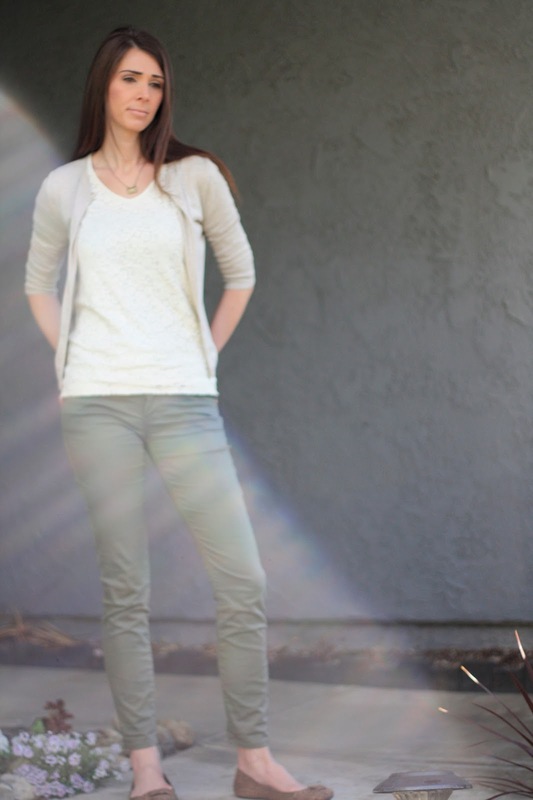 The top underneath the cardigan is actually a tank, which is great under the cardy or is perfect for the summer. This outfit would probably be a little boring without the pop of color, it's fun enough, but still professional. Just gotta love NY&Co. and Target! Carrying on with the theme of bright and sunny weather, and having a casual day at work, I decided to actually wear a dress as a shirt and pair it with a blazer to add a little more structure to the outfit.